A chakra a day keeps old patterns away! Do you feel that parts of your life need re-arranging? Needing to dive deep within? Are looking for a transformative experience? 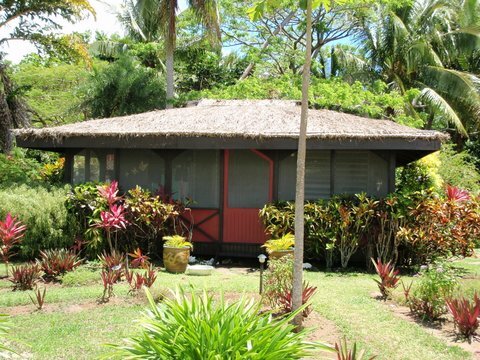 Wake up to the sound of birds and the smell of fresh ocean air. Kadavu is a place left back in time to a peaceful people; whose kind hearts share the paradise of their Island. Their heartfelt hospitality emanates from the traditional dance, rituals and ceremonies which they perform for and sometimes include the island visitors. As home to the Great Astrolabe Reef, diving is a major attraction in Kadavu. Fishing, surfing and kayaking are also popular, as are the long, sandy beaches which line the islands. Further inland you’ll find lush, green rainforest filled with stunning birdlife and glorious waterfalls, and there are good hiking routes from several of the resorts. 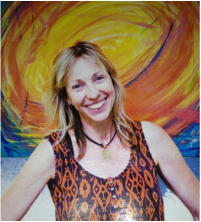 Natalie Almond is well known for her transformative retreats through the chakra system. You will be guaranteed a great change from within, a chance to change old habits and your life! Natalie has the ability to channel her students energy enabling her to adapt to each persons needs. She has a talent to weave energy creating a tight community web for the students and a feeling of closeness and safety. Natalie retreats are serious, informative, caring and fun! Chakras are the subtle power stations running through our bodies, they enhance the flow of energy through our pranic channels or meridians (non physical level) they also correspond with the endocrine glands and organs. Each chakra awakens dormant areas of the brain and enhance the function of all bodily systems. We will work our way up through the 7 main chakras along the spine using one chakra per day, giving it full focus and the chance to transform, rejuvenate and re-energise. 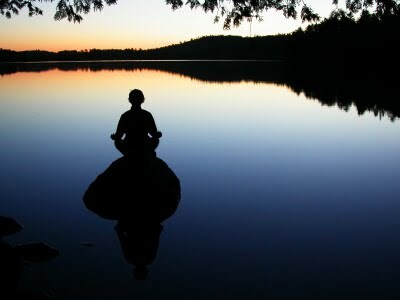 Practicing silence in the early morning with a meditation session followed by a yoga class relating to the chakra. 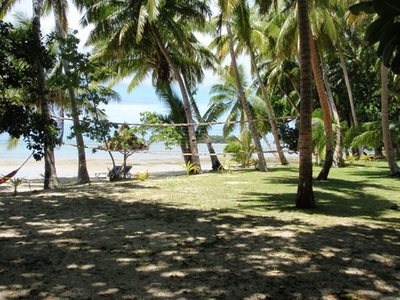 The yoga room is situated on the beach. Through out the day we will have time for, more yoga classes, partner stretch, theory session, activities relating to the chakra and more meditation. ​These will be at an extra cost. Includes: Airport transfer, 3 meals per day, tea, coffee, lemonade, snorkel equipment, kayaks and activities. * NB $500 non refundable deposit must be paid by April 5th to ensure your space. Please read terms and conditions below. Each participant will receive a one-month unlimited yoga pass for Anahata Yoga Space. Please Note: It takes two flights to arrive to the Island so you may need to plan for overnight stay in Nandi. Pacific Sun has daily flights from Nadi and Nausori Airport just out of Suva. For those who want to experience inter island travel as the locals do, there is a ferry that departs from Walu Bay, Suva, on Wednesday evenings which travels to Vunisea, Kavala Bay then back to Suva around 2pm the following day. Enjoy traditional and peaceful people sharing in their lush rainforest, waterfall, remote surrounding islands, kayaking, boat trip and picnic, snorkelling, diving, kava feast, lovo party, gospel singing and more. Kadavu is a place left back in time to a peaceful people; whose kind hearts share the paradise of their Island. Their heartfelt hospitality emanates from the traditional dance, rituals and ceremonies which they perform for and sometimes include the island visitors. The locals are strong at keeping their tradition. Kaduva Fiji is not only known for its awesome scuba diving experiences but for the rainforest of Kadavu Island. The rainforest is of particular interest due to the magnificent flora and fauna that abounds and the beautiful birds that call Kadavu Island home. One such bird that is now considered an endangered species is one that you will have to catch on film is the Kadavu Musk Parrot. The rainforest of Kadavu Island excites visitors with such beauty that is almost hard to explain in words with mountainous treks and waterfalls throughout the entire rainforest. Not only will bird lovers bask in the wonder of the species found on Kadavu but also all nature lovers will enjoy the spectacular beauty of the rugged mountains, white sandy beaches, and the awesome coral reefs. There are no cars on this remote island you have to fly from to Vunisea then a 30-60 minute boat trip to the resort. It was the final cure to my long-term allergy problems, by showing me how to balance out my acid/alkaline levels. After 17 years of Hatha yoga and multiple injuries it has shown me how to work gently with myself, yet reach deep into my inner substance to challenge my hatha yoga practices. The 7-day chakra retreat totally energised me and put me in place, a great foundation for a deeper personal home practice of meditation and asana. 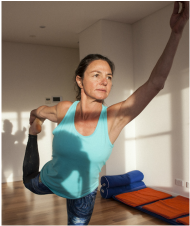 Natalie's approach of teaching incorporates and harnesses the disciplines and energies of yoga whilst also accommodating the practicalities of our busy 21st century lifestyles. Thanks Nat, great workshop as always, you hold a really inspired space, your so easy to drop down into relaxation with or into some invigorating, challenging yoga. You also make everything fun, intuitive and intelligent as we all learn greater ways to evolve and live in better health. "De-stress, release anxiety, increase your health and self-awareness, discover and re-enforce your natural healing abilities, to reach your full creative potential". Re-connection of body and mind. Truly experience the power the breath. Spend a self-empowering weekend with us; discover your inner truths and abilities. Let go of old parameters binding us to our boring safety zones. NLP - Neuro Linguistic Programming is the interaction between the brain (Neuro), language and the body. This interaction produces effective and ineffective behaviour and is responsible for the process behind human excellence and may often show a link to pathology. It is a way to use the language of the mind to consistently achieve specific and desired outcomes.
" Our thoughts are the controlling factor in which we manifest and what we create in our life. MINDFULNESS: can be thought of as a moment to moment, non-judgmental awareness, cultivated by paying attention in a specific way (in the present moment) and as non-reactively, non-judgmentally, and as openhearted as possible. YOGA: exercises are designed to enhance all that you do in life, increase the function of brain and consciousness, create equanimity in all our opposing aspects. Self-empower with the tools to heal and re-programe and rejuvenate. Surround yourself in 60 acres of bush land, enjoy a relaxing spa and steam, relax and unwind in this friendly family atmosphere. 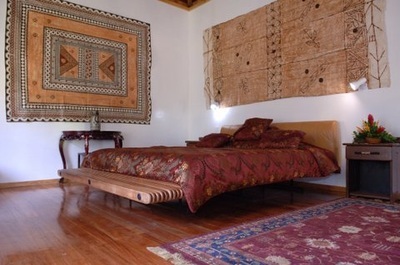 Includes twin share accommodation with shower and toilet, 3 wholesome vegetarian meals per day and all courses.